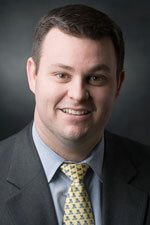 Kevin G. Donoghue is a Partner at Garfunkel Wild, P.C., which he joined in 2001. He is a member of the Litigation and Arbitration, Appellate Litigation, Employment Law, Health Care, and Health Care Information and Technology practice groups of the firm. Mr. Donoghue's practice involves a wide range of commercial, corporate, and health care matters. He counsels clients daily on their pre-dispute and litigation needs. Mr. Donoghue has over 13 years of extensive litigation, trial, and alternate dispute resolution experience in both state and federal courts. He has successfully litigated a wide variety of matters, including contract and corporate disputes, real estate matters including breach of lease disputes, construction lawsuits, employment and discrimination cases, civil rights disputes, and antitrust cases. Mr. Donoghue also has expertise in connection with technology and internet legal issues that arise for his clients. His commercial practice is diverse. He has represented clients in disputes with contractors and subcontractors in connection with large, multi-million dollar construction projects; in business break-ups and dissolution of business entities, including restrictive covenant and non-solicitation cases; in breach of contract claims for goods or services rendered; and in disputes related to content and material posted on the internet. Mr. Donoghue also counsels and defends clients against all types of employment claims, including age, race, gender, national origin, and harassment claims, as well as claims for wrongful discharge or breach of employment agreements. A recent case of his that was assigned for trial involved an employee's claims against a large health system and a member hospital for alleged sexual harassment, constructive discharge, and retaliation. In the health care area, Mr. Donoghue has worked on behalf of health care providers in connection with disputes with managed care companies and other third party payers. One recent trial for which he served as plaintiffs' counsel involved representing 15 hospitals in New Jersey state court in connection with complex managed care contracting and reimbursement issues. Prior to joining the firm, Mr. Donoghue practiced law in Massachusetts as a transactional attorney responsible for mergers and acquisitions in a busy corporate and real estate department; he was then a litigation attorney with a large, multi-national law firm located in Manhattan, New York. Mr. Donoghue is admitted to the New York and Massachusetts Bars, as well as federal courts for the Southern District of New York, Eastern District of New York, Western District of New York, Northern District of New York, and the Second Circuit Court of Appeals. Mr. Donoghue received his undergraduate degree from College of the Holy Cross in 1996, and his J.D. from Fordham University School of Law in 1999, where he was a member of both the law school's Moot Court Board and the International Law Journal. He is involved in a number of community and religious activities, including membership in the Knights of Columbus and the Catholic Lawyers Guild; he also serves as a Little League Baseball coach in his local community.